Detective Comics 50th Anniversary issue featured Batman meeting up with the original caped crusader. Extra-sized Anniversary issue! 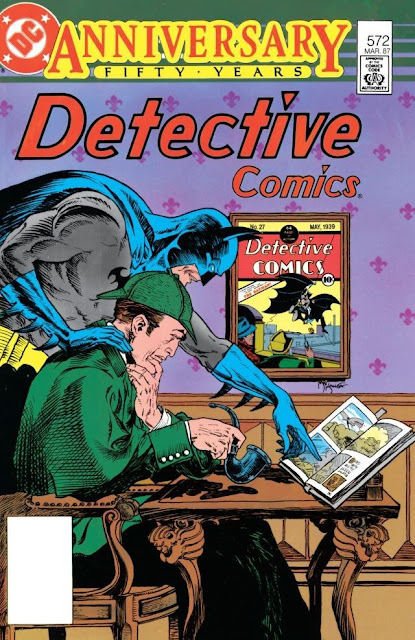 A mystery brings together the greatest sleuths of our time: Batman and Robin, Elongated-Man, Bradley P.I., and the greatest sleuth of all time, Sir Arthur Conan Doyle's Sherlock Holmes.